Okay. For years I've been trying to DIY heal my back. Recall I was in a freak car accident back in 1999 and underwent that controversial stupid thoracic outlet syndrome (TOS) surgery. I would say that after finally ignoring the doctors' orders to "not stretch" and "not lift weights" I have probably fought my back back to 85% healthy. However, my posture still stinks and I also have a new problem that may be related to the misalignment of my joints - extreme varicose veins. I'd post a pic but it may gross y'all out. Maybe next time. Anyways, the fact that there's NOTHING that can be done for varicose veins other than compression socks and elevating one's feet (which simply deprives ALL bloodflow to the legs) has really depressed me. And the only possible remedies would then be, well, to look at how to improve my deep nasal breathing and maybe how to stretch my hips and legs more. Then I came across an assertion online that the Egoscue Method could improve varicose veins. See this blog post. I tried it a little a few years back - though without the "tower". I just simulated it using chairs, end tables, etc. 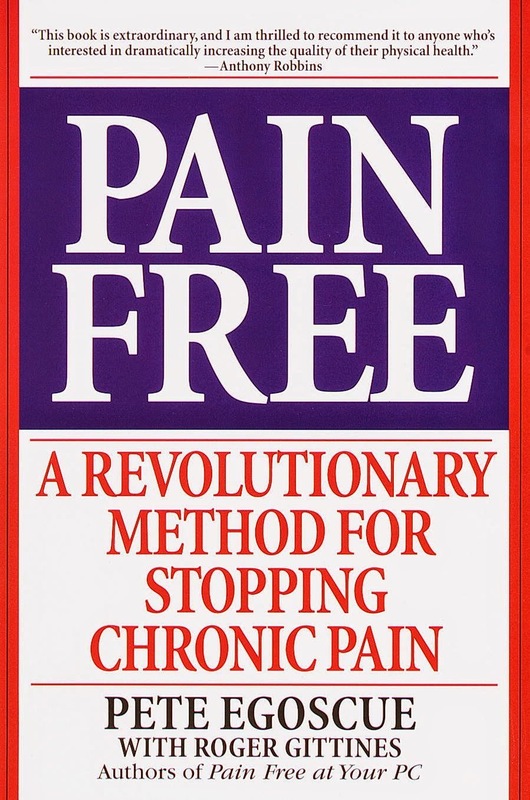 I searched for Egoscue on Amazon and lo and behold, the guy had just published a new book on Kindle in June - Pain Free: A Revolutionary Method for Stopping Chronic Pain. Of course I bought the book and read it somewhere in Italy this summer. I CANNOT recommend it highly enough. It's simple, profound, and frightening all at once. Reading it you will grasp the supreme importance of making sure your shoulders, hips, knees, and ankles are vertically and horizontally stacked properly. If they aren't....the resulting muscular imbalance will only lead to severe health problems. I mean my father was a great athlete his entire life. But now he's 71 and can barely walk around. THAT is what I am acutely afraid of. Last month I found an Egoscue-certified posture coach here in London and hired him ($1,700 thus far!) for both me and my wife. So far so good - except for the fact that the guy told me I had the most uneven shoulders he's ever seen IN HIS LIFE. I'll certainly be posting updates. Do also check out my review of The 4-Hour Body.